So you’ve taken a ton of pictures with your fancy iPhone 6s or 6s Plus, but then you realize that you had the Live Photos feature on when you didn’t intend for it to be. You’ve gotta go through your iPhone and turn each one off individually, right? Nope, and I’m really glad that’s not the case, even though I’ve written about a way to do it. You actually can edit those pictures en masse on your computer, so here’s the deal. 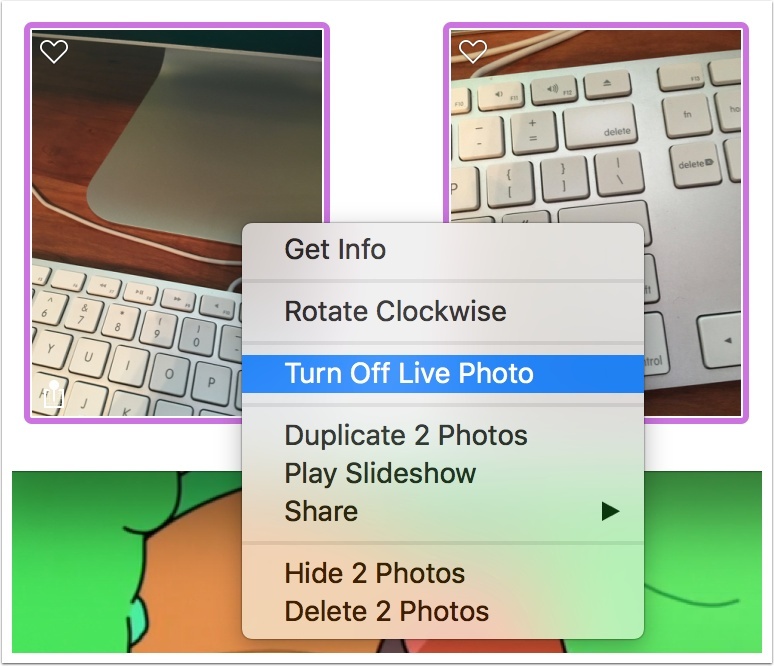 First, open Photos on your Mac, and then select the images you’d like to remove the Live Photos stuff from. In case you don’t know, you can select multiple items by holding down Command and clicking to select each one if they aren’t right next to each other. If you have a ton of pictures all in a row, however, just click to select the first one, then hold down Shift and click the last one to pick all of the images in between. 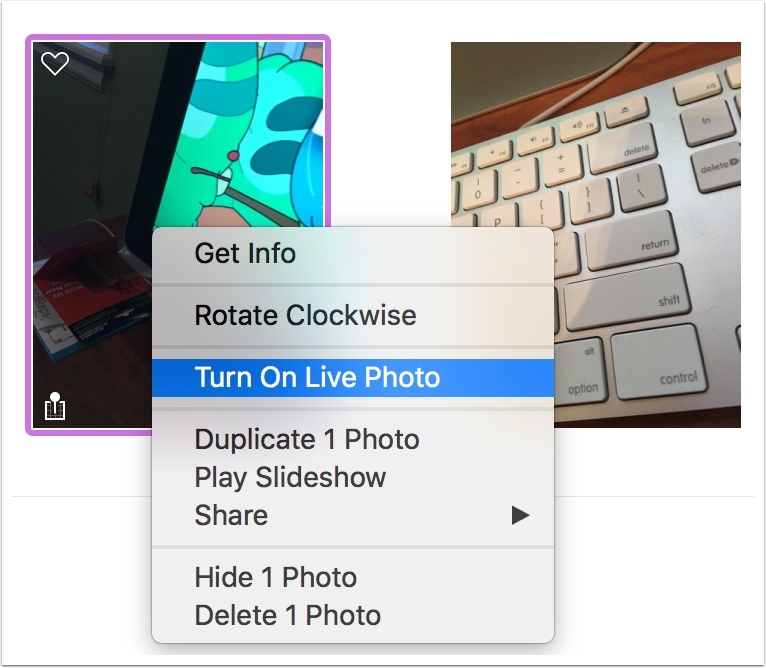 Anyway, once you’ve got your selection ready, you’ll right- or Control-click on one of the items and choose “Turn Off Live Photo” from the contextual menu to do just that. If you prefer, that option is also available under the “Image” menu at the top. 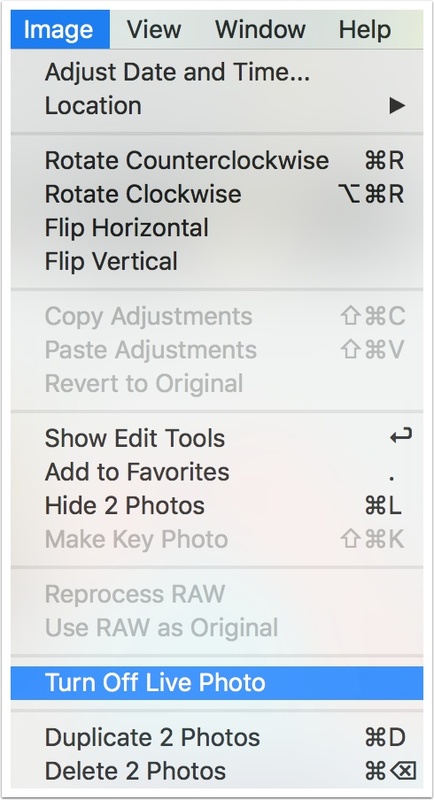 Also, remember that in Photos, all edits are nondestructive, meaning that you can repeat the steps above at any point and pick “Turn On Live Photo” to get that data back. Once you’re finished, the changes will sync to all of your iCloud-connected devices if you’re using iCloud Photo Library, and you shouldn’t have to look at those darned Live Photos anymore if you don’t want to. Unfortunately, there isn’t a way to remove the Live Photos feature from more than one picture at a time on iOS as far as I can tell. I’m really hoping Apple gives us a way to do that soon, but I suppose this is a good stopgap method.